Correction: An earlier version of this post mistakenly stated that the minimum wage is set to decline by 17%, rather than 22%. 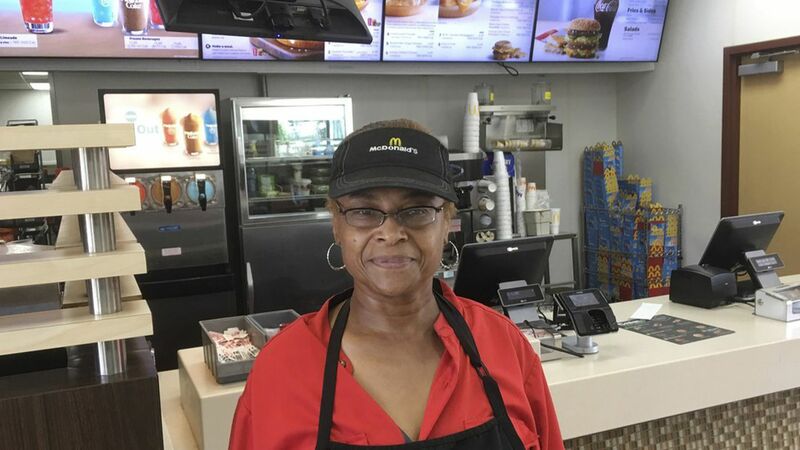 Minimum wages are generally marching higher in states and cities across the U.S., but the wage floor in St. Louis is set to fall from $10 to $7.80 later this summer. That's after a Republican-controlled state legislature voted to make illegal a city-wide minimum wage law that went into effect 10 weeks ago. The St. Louis Post-Dispatch chats with employers in the city, most of whom say they will cut the pay of workers they had raised just 10 weeks before. But some, even those who opposed the higher minimum initially, can't bring themselves to do it. Why it's unusual: Few ideas poll better than raising the minimum wage, and the issue has had particular success in state and city legislatures and the voting booth in recent years. Watch to see if Missouri is the movement's high-water market. Why it's so hard to cut pay: One reason that some employers may be reluctant to lower wages after such laws are repealed is that humans are what behavioral economists call loss averse — they hate losing something more than they love gaining it. We are so miffed by pay cuts that employers fear such a hit to morale would be more costly than it's worth. We can see this effect when looking at wage growth during recessions, which never stops outright even as prices for other stuff like real estate or stocks fall. Some economists believe that this inability for employers to adjust to a downturn by lowering wages causes high rates of business failure and the unemployment rate to leap several percentage points.